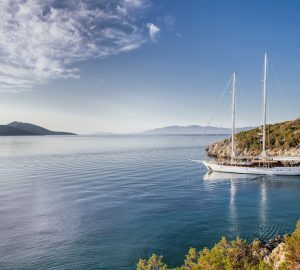 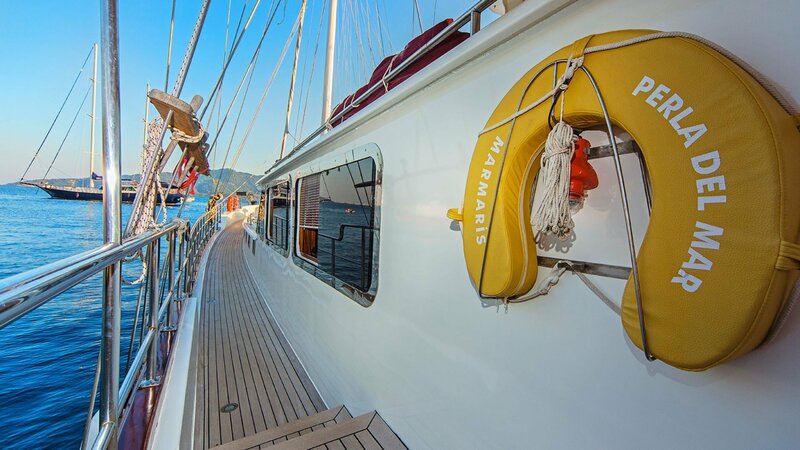 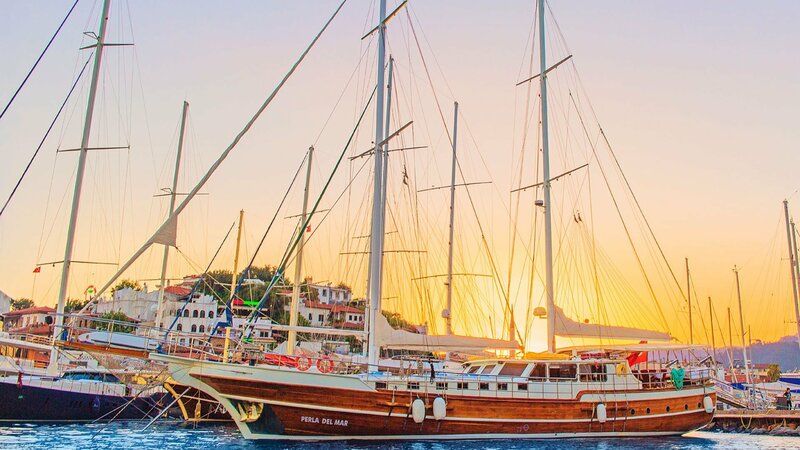 S/Y PERLA DEL MAR was launched in 2005 and refitted in 2012, she measures 28m and accommodates 16 charter guests, across 6 cabins, there is a crew of 4 to ensure a relaxed sailing vacation. 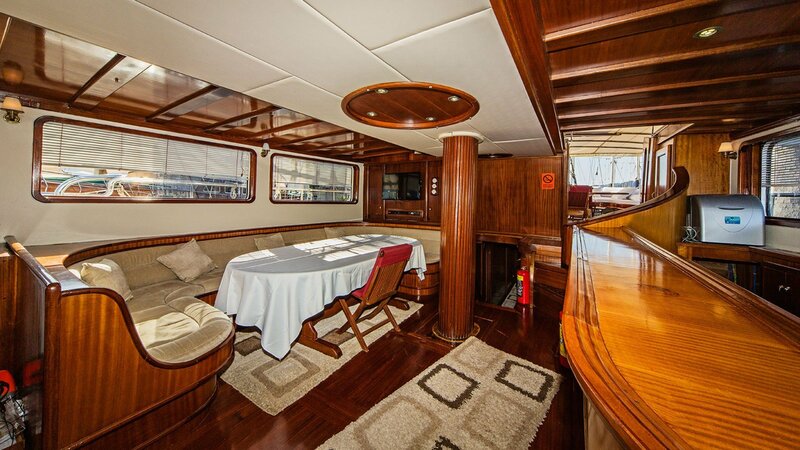 The yachts open plan salon and dining is in a raised position, sit back and relax on the generous sofa, enjoy formal dining and sip cool cocktails from the galley/bar. 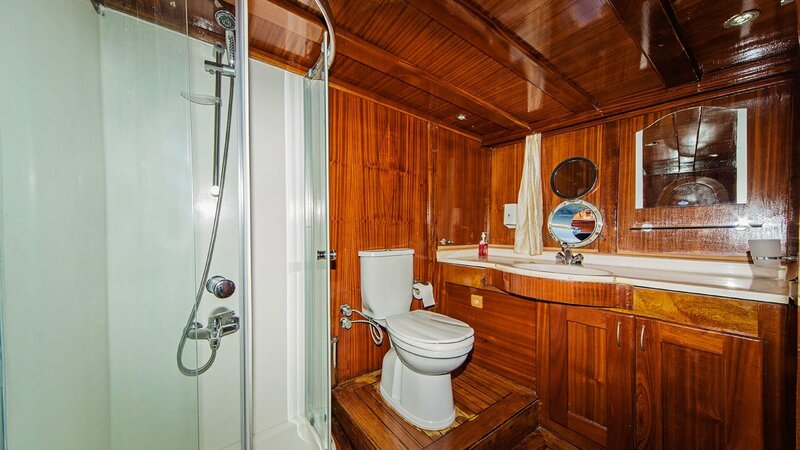 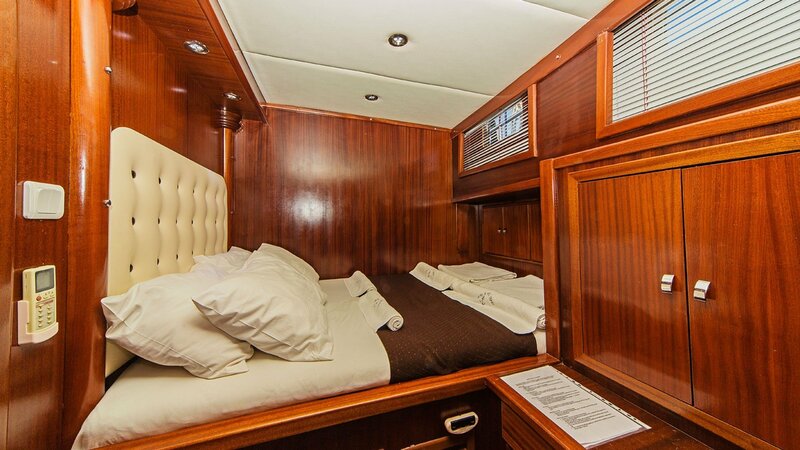 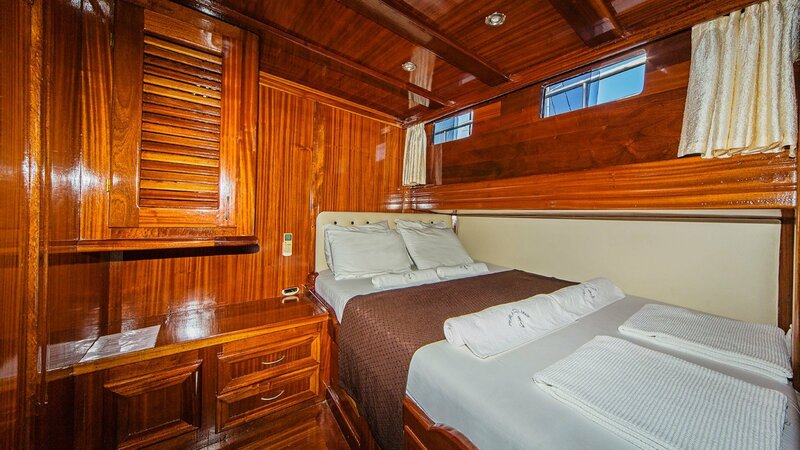 Below decks are 8 good sized cabins, situated both fore and aft of the salon. 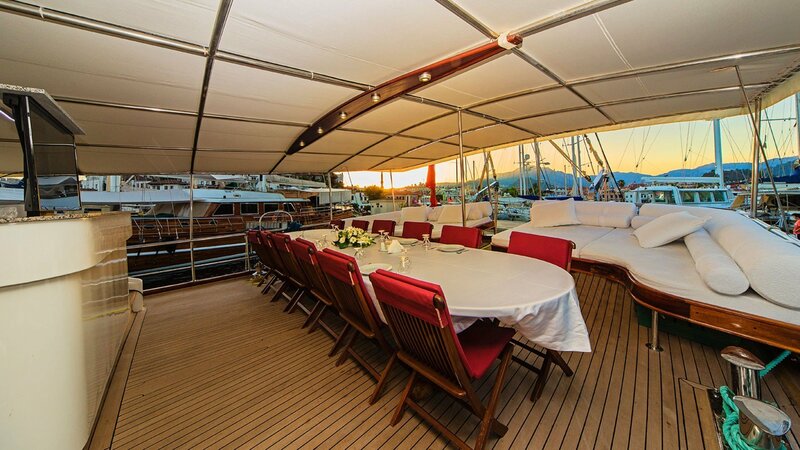 Her teak decks are well-appointed, with the aft section offering alfresco dining, a full beam seating area and shade. 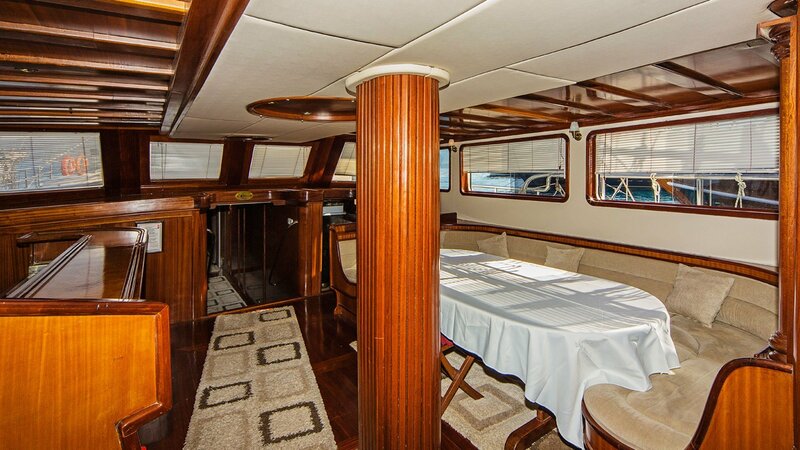 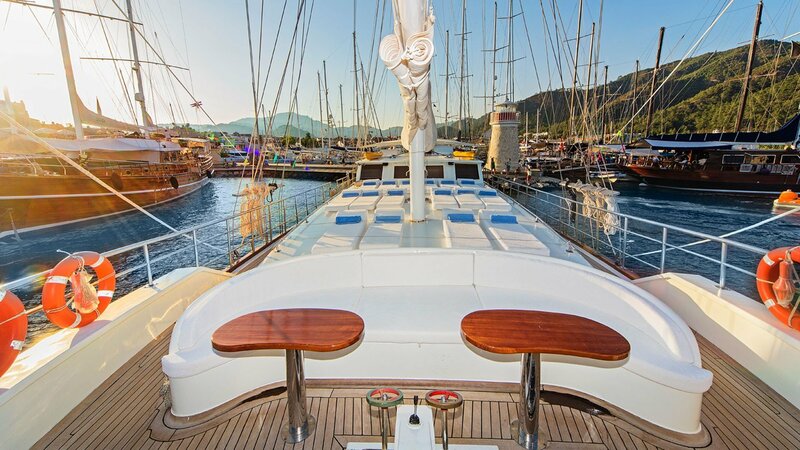 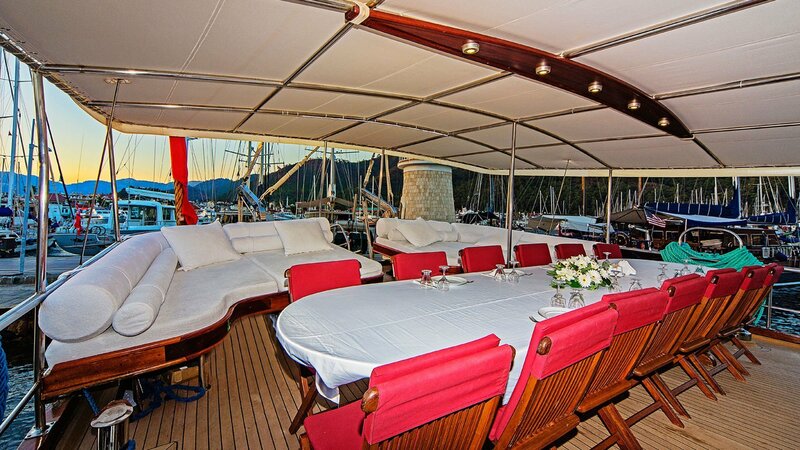 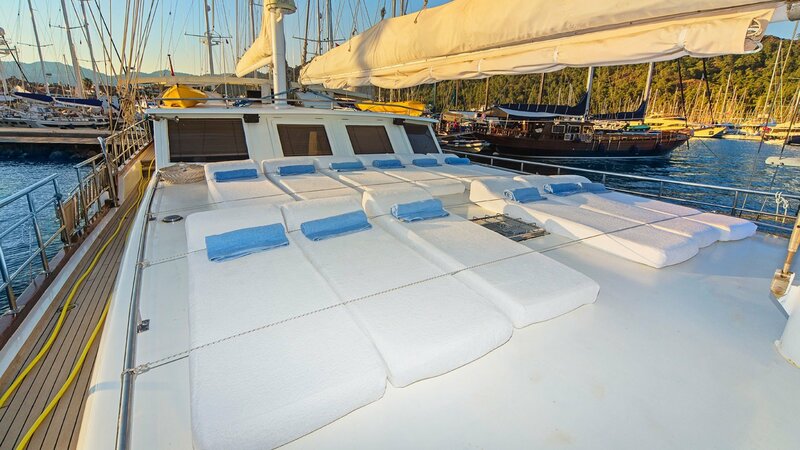 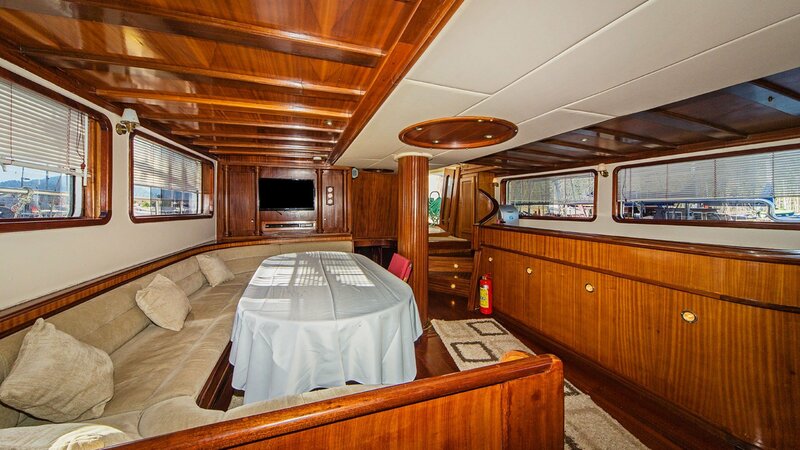 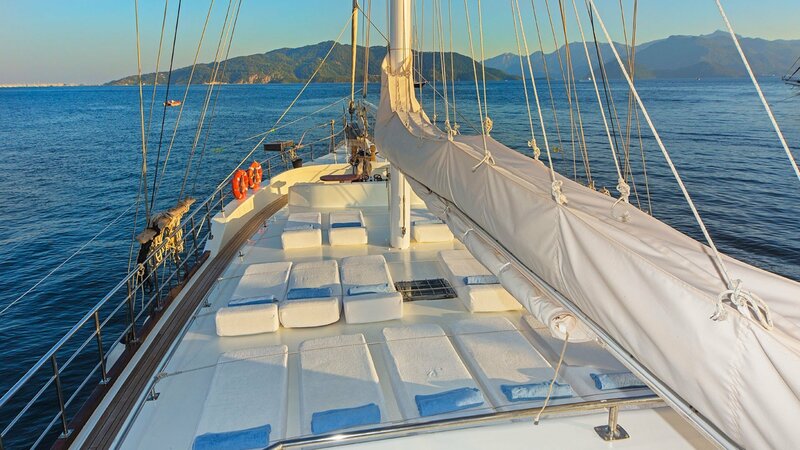 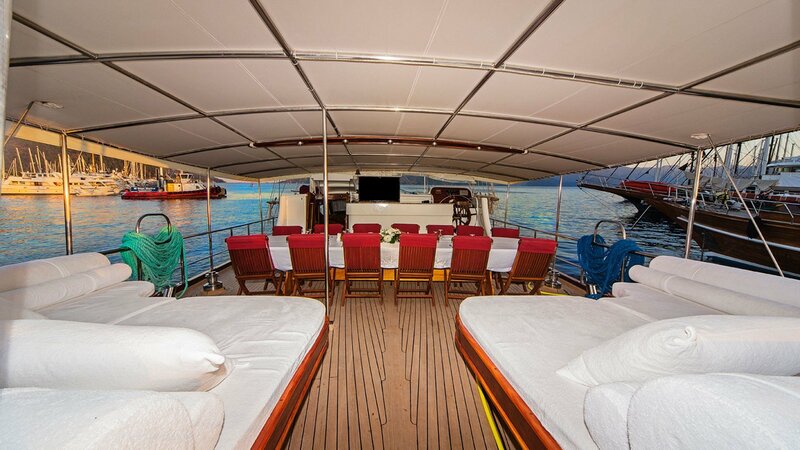 On the foredeck are numerous sunpads and a cozy sitting arrangement with 2 small tables. 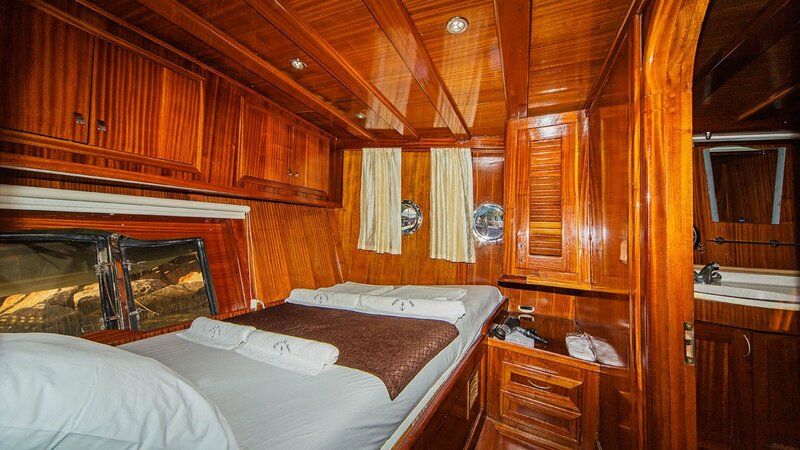 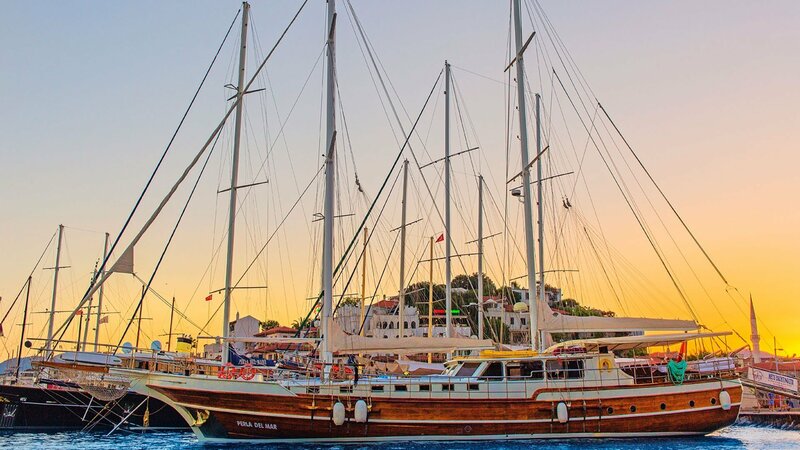 Accommodation is in 6 double and 2 twin cabins, for a total of 16 charter guests.